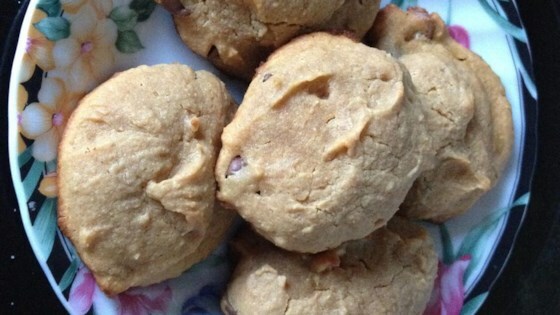 "These soft chewy cookies can be used in paleo and specific-carbohydrate diets." Beat eggs, almond butter, honey, and vanilla extract together in a large bowl. Sift coconut flour into the egg mixture while continually stirring. Fold raisins into the mixture. Drop mixture by the spoonful onto prepared baking sheet. Bake in preheated oven until golden brown, about 14 minutes. Cool cookies slightly on sheet before moving to a rack to cool completely. It was ok but I really liked them stale with coffee for breakfast. Next time I will add nuts. I opted for apricots instead of raisins because it's what I had on hand. Very healthy and yummy treat.